Nothing says “Happy Holidays!” like the smell of meat organs roasting on an open fire. 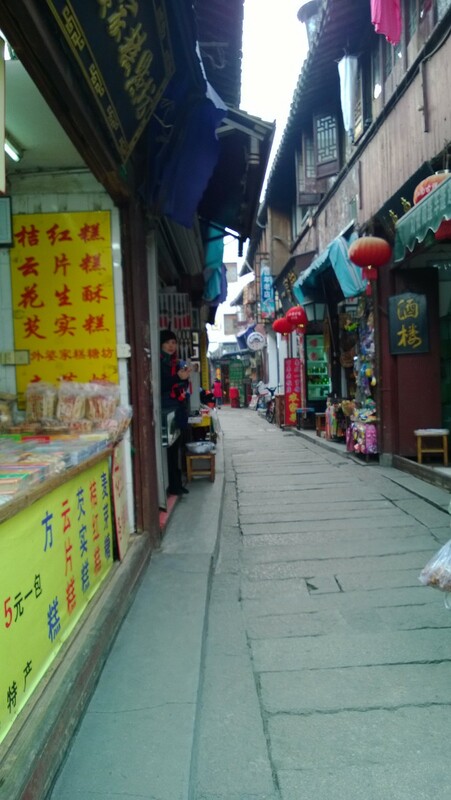 We spent Christmas wandering around the Zhujiajiao Ancient Town, about one hour outside of Shanghai. 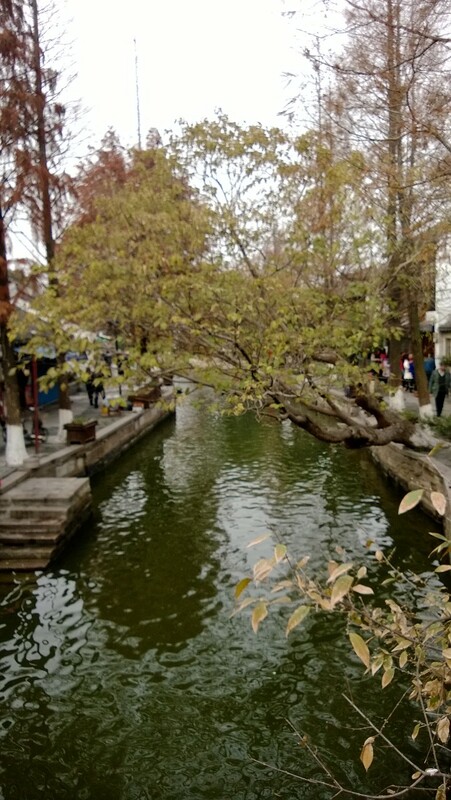 There are around a thousand buildings of Ming and Qing Dynasty styles by the creeks and 36 ancient stone bridges, though we didn’t really see that many so I think someone may be stretching the truth in their literature. However, it was very quaint and scenic. 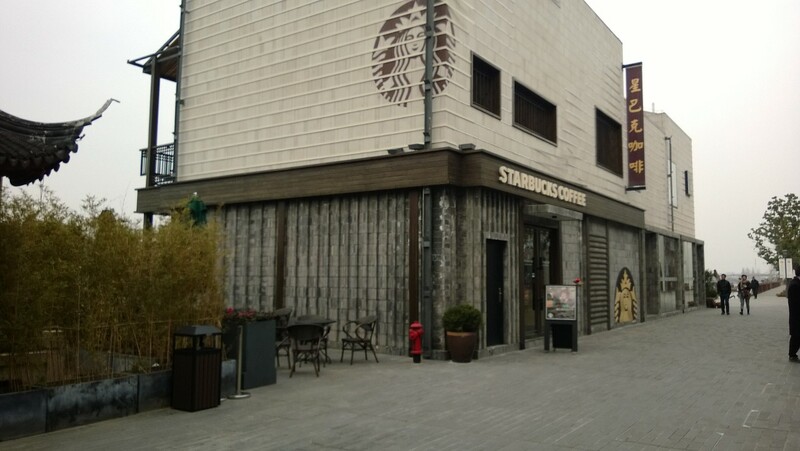 I was shocked though to see one of the nicest, largest Starbucks that I have encountered in China sitting on the banks of the rustic creek. Huge kudos to Starbucks for providing weary travelers with Americanos wherever we go. Some might be disgusted by this crass commercialism but when one needs caffeine at 3 p.m., you care less about historical integrity and more about American standards for a good cup of Joe. 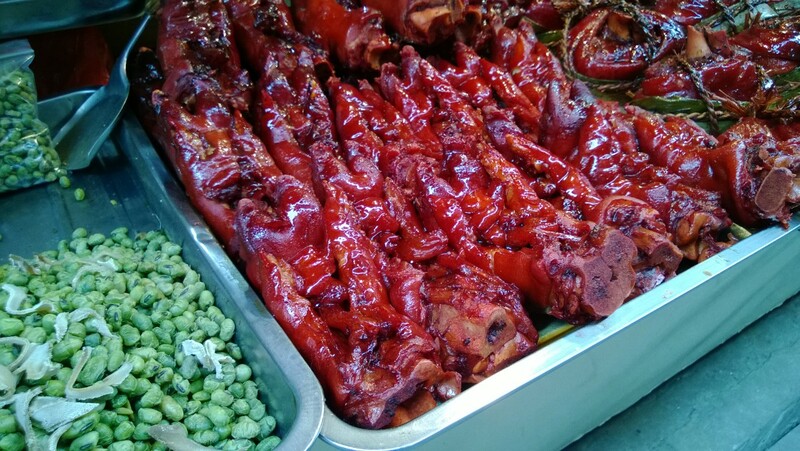 On a more China-like note, there were barbeques grilling meat organs including what looked to be hearts and intestines as well as bird eggs and other delicacies that Starbucks isn’t carrying yet. So, going local or Laowai, you were covered either way! Starbucks is everywhere, even in Ancient Towns. 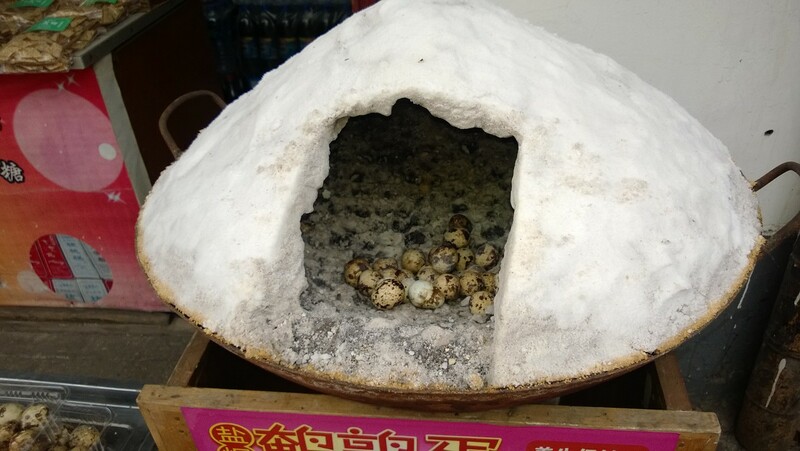 Tiny bird eggs cooking in clay oven. Yum!